Heart-breaking. Such a beautiful building. Apparently due to an error during building works currently underway, therefore accidental. Distressing for so many. Hope there will be no injuries to the firefighters involved. Looks like a total loss. Incredibly sad. I sure hope not... I'm a bit surprised there is that much flammable material. My understanding was that a big part of that style of architecture was - being mainly stone and masonry structure - they were less likely to burn (this of course in an era of predominantly candle based lighting). The roof structure in these buildings is mostly ancient massive oak beams. With lead cladding on the outside. Plenty of flammable structure. Roof of the Lady chapel snd main nave appear to have collapsed. Likely all theinterior will be lost, including the historic organ. Well, at least we now have God's verdict on mucking up Brexit! The roof structure in these buildings is mostly ancient massive oak beams. Yes, the wooden support structure (as long as it lasts) is visible in the earier pictures of the fire; it will burn like mad, a great shame. 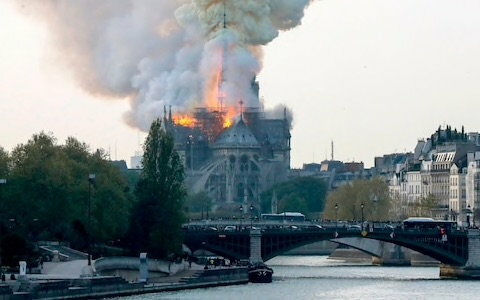 Unlike in the UK France is a secular state and not involved in maintaining churches - which is why renovation of Norte Dame has been so slow as they sought foreign funds. Also no National Trust. 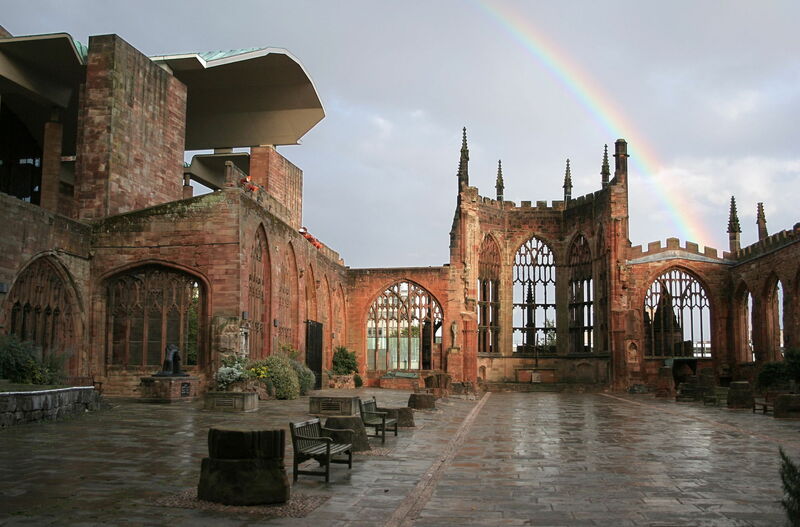 It may never be rebuilt, just as Coventry cathedral was not after WWII. Are contractors allowed to smoke on site in France? I don't know if things are different in France, but I am truly surprised at the lack of preparedness for this catastrophic event. With a longstanding interest in old organs and old cathedrals, I've climbed about in the roof structure of a number of them, whenever such visiting is open to touring. In every one I've seen there are incredible fire precautions. Extinguishers, often standpipes, strict rules regarding anything that might start a fire. Lincoln Cathedral is a prime example. When you look up, the vault you see is either stone or plaster, but the actual supporting structure and roof is a maze of massive wooden beams, for which all of the forests of medieval Europe were cut down. Once established, there is no stopping a fire. Nevertheless, once would think that Paris had a pre-planned protocol to fight such a fire, and access to equipment to do the job. Sadly, that does not seem to be the case. Reconstruction, if it ever takes place, will take decades. Sadly I'm not. Nobody prepares for catastrophic events unless they've got a very good idea of the potential risks and outcomes, have plenty of money to put behind the necessary equipment or solutions for avoiding them (nearly said 'money to burn') and are prepared to risk public criticism (and even humiliation) for thinking dark thoughts ... Remember 9/11 ... and how there was an immediate condemnation for lack of forethought ... and the rise of conspiracy theories. Such work needs money, and the French government, by law, gave limited funds. I weep for France. Think of how we Brits would feel if St Pauls or Westminster Abbey burnt down. So much lost for ever. Let's hope that the British Government now makes contingency plans for the major UK historic buildings in case of a catastrophic event. After all, although the Monarchy paid for most if not all the restoration after the 1992 Windsor Castle fire, it cannot be expected to finance the reconstruction of the realm single-handed. Then, when priceless treasures rescued, main fire-fighting began. It's awful though and so sad but it does look like efforts were made to set about damage limitation at a very early stage. A renaissance a rebirth, France will seek to rebuild and many including MOI will happily chip in. If only the bishop had raised a white flag, the fire brigade would have responded sooner.